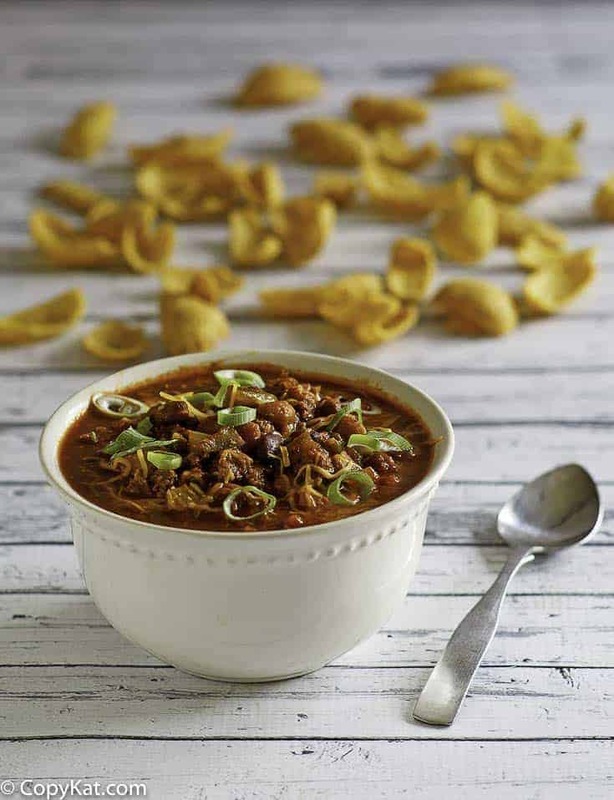 Did you know you can make a copycat for Instant Pot Wendys Chili? You can, and you can have this famous copycat recipe in no time at all. One of my favorite types of chili is my copycat Wendy’s Chili. It’s flavorful, not too spicy, and full of meat, beans, and veggies. Now unlike Wendy’s, we are not starting off with meat patties that have been on the grill. We are starting from ground beef. I think this is more sensible for the home cook. Now if you want a really authentic experience you can fry up 2 pounds of ground beef in meat patties if you desire. What makes this recipe so special? I think it is the tomato juice in the recipe. For me, by adding tomato juice, and not water, the final chili is intense, and perfect to warm up your soul. What makes cooking copycat Wendy’s chili so awesome? You can customize the recipe, my base recipe is how to make it taste like theirs. You can customize it any way you like. For me, I like to add in a teaspoon of chipotle powder to my batch of chili. Are you looking for other famous restaurant recipe chilis? Be sure to check out these chili recipes. Don’t have an Instant Pot? You can make it on the stove top with my recipe for Copycat Wendy’s Chili. 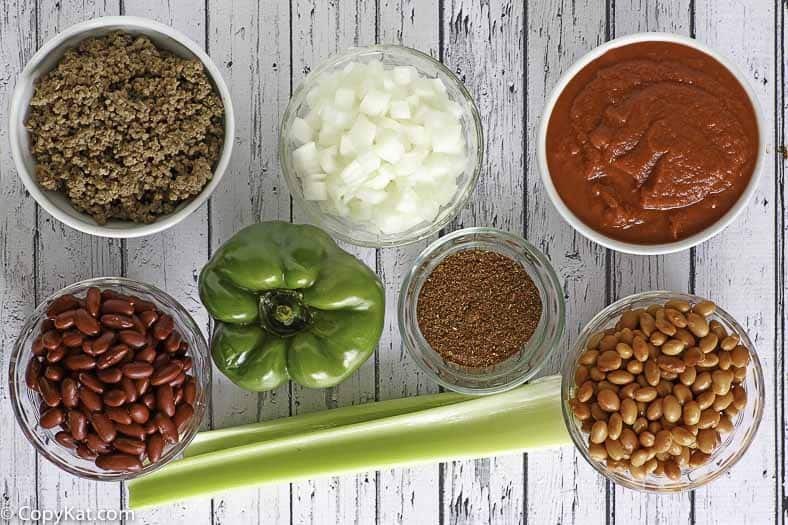 I know you are going to love this Instant Pot Wendys Chili when you make it at home. You can make an amazing pot of Wendy's Chili in your Instant Pot. Using either a 6 or 8 quart Instant Pot, use the saute feature to brown the ground beef. Cook the beef until it is 90% or more done. Drain if desired. To the pressure cooker add all remaining ingredients.Cook on the manual high setting for 6 minutes. When the chili is done perform a quick release. Serve immedately. Just wondering if I par boiled Chicken Breast would I cook it the same? I have never thought about putting the chicken in here, it could work. I am not 100% sure you need to par cook it. You could just add in bite-sized pieces and let it cook in the chili. The best ever chili. I love it. Quick and easy and plenty for left overs!! Thanks for posting it. I made it and then lost the recipe!! I hunted u tube for a week and found you again. I am now trying to commit it to memory. I may have it tattooed on my arm so I don’t loose it again. Phil. Oh that’s pretty extreme 😉 I am glad you liked it. I just got my first “burn” message. I drained the beef. It had not come to pressure. I turned if off, opened the lid, stirred and then added another 1/2 cup of water and restarted the process. Just came to pressure…hope all is well. This was so good I just made it yummy – Thank you for the Recipe. Found this recipe and site as I was looking for a great chili recipe for my daughter’s boyfriend who requested chili as they are coming to visit this weekend from up North. I’ve had Wendy’s chili and I enjoyed very much. I knew this recipe was a winner the minute I found it and read the ingredients. Love the ease of how it all is supposed to come together. While I have never made chili ever, (my husband was always the chili maker in our family) I truly believe that this recipe is going to be one that I make again and again. Thanks for a great recipe! I hope you enjoy this chili. Loved the instant pot recipe for Wendy’s chili. Any more copycat instant pot recipes?? I CAN’T WAIT WENDY’S CHILI. I LOVE IT I WOULD ALSO LOVE A RECIPE FOR CHRISTOS ROSA MARINA SOUP. IT’ FANTASTIC & IT’S A FAMILY RECIPE THAT THEY DON’T GIVE OUT.. I’M 83 AND LOVE THAT SOUP. Thank you for your request, I don’t have the recipe for Christos Rosa Marina Soup, but I will keep it in mind. Loved this recipe, I hate going to the drive through and ordering 8 or 10 servings, coming back home, and pouring it into a pot. I then have to dispose of the trash so my family doesn’t know. I love that this recipe doesn’t start with old hamburger patties. The amount of chili is just right.